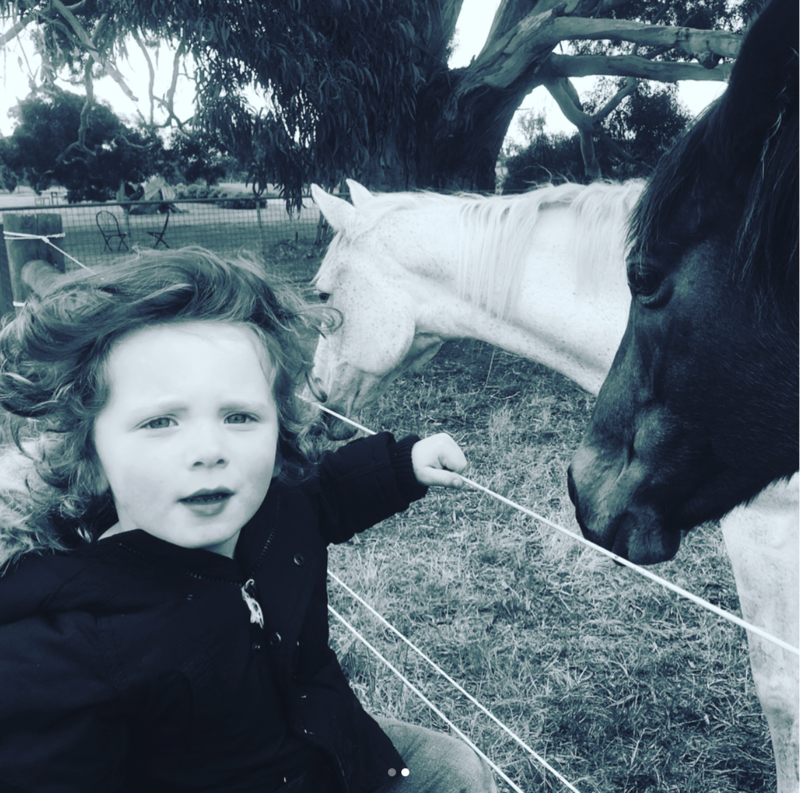 Offspring star Asher Keddie has shared some candid snaps of her little boy, two-year-old Valentino, and he’s the adorable spitting image of his award-winning artist dad. Asher’s mum to Valentino (“Vallie”) and step-mum to seven-year-old Luca with painter Vincent Fantauzzo. She’s been quietly posting photos of family life on her Instagram, and Vincent’s has been doing the same. The images provide a candid glimpse into life at their place and we’ve got to say it’s pretty relatable – and very gorgeous! We’re not the only ones feeling lucky. Asher says things are pretty peachy in her world, too. “I can’t believe how much I love him, it’s indescribable. I’ll always remember that moment we met him to be one of pure joy,” an obviously elated Asher told Who Weekly after young Valentino’s birth. The mum-of-two told Marie Claire parenthood has shifted her approach to life, and we get the feeling that’s been a unexpected gain. When the mag sprung the near-inevitable question of having more babies, Asher said the jury’s out and she and Vincent are just enjoying the boys, as is. Workwise, season seven of Asher’s much-loved series Offspring finished up last year, and she’s currently popping up on screens in the very Australian comedy Swinging Safari – alongside Guy Pearce and Kylie Minogue. We’re keeping our eyes peeled for her next move. On Instagram.